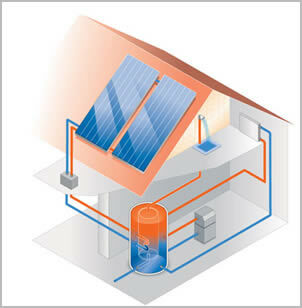 The use of Renewable Energy Sources to heat your home is now a real possibility for many people. With Renewable Energy we can reduce our carbon footprint and at the same time insulate ourselves from the effect of the rise in the cost of non-renewable energy sources. The efficiency of equipment has increased greatly in recent years and we offer consultation, design and installation of the best system to suit your needs. The company is registered under the Microgeneration Certification Scheme and our engineers are qualified to advise on the complete range of systems available today. Once installed we can carry out regular inspections, maintenance, and servicing of your system to maintain its maximum efficiency.